On the other hand, vim is a little different. 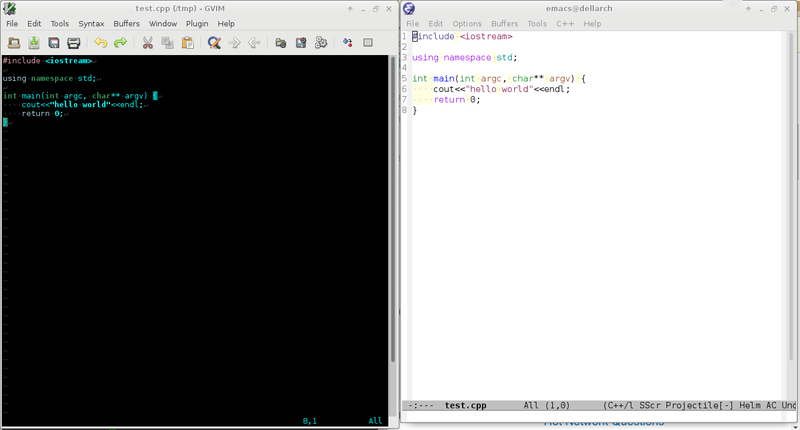 vim is more tend to text-based UI, though there is a GUI version called GVim. In order to familiarise with vim, I also did some customisation on it, especially the key binding (hotkey) which is, totally not user-friendly by default. So, I share my ~/.vimrc with this post.